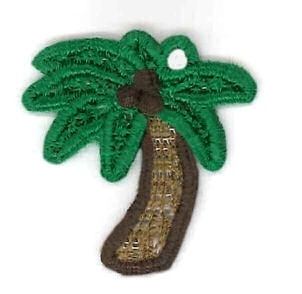 Add a little charm to your step this summer with this cute palm tree flip flop charm. PDF instructions included. This charm can also be used for earrings, necklaces and bracelets. Earn 4 points at checkout OR buy this item for 69 points. Finish Size 1.25" x 1.20"
This design is also available in a larger set. Just click on the "Flip Flop Charms Set, 12 Designs" link above in the "You might also like" section for more information.